Lord Ganapati is the most worshiped Hindu god, worldover.Hindus worship Lord Ganapati before starting any auspicious work to avoid obstacles. Maha Ganapati represents Akashatatva akasha means space where all the creation rests; space means opportunity without disturbance. 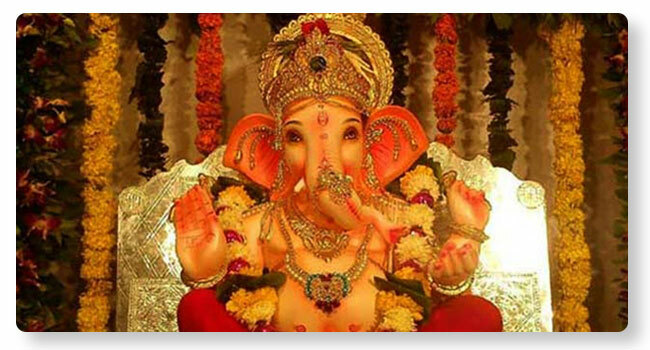 Kshetra Mahima : Lord Ganapati has a special divine presence at Gokarna. It was Lord Ganesha, who made Ravana to give up the Atma Linga of Lord Shiva here. Ravana tried to attack Lord Ganesha, when he put the Atma Linga on the ground, Lord Ganesha turned to stone at Gokarna. Performance of Maha Ganapati Shanti Homa at Gokarna has special significance.